Photo of the interiors of Shah Rukh Khan’s Living Room. Photo taken inside Shah Rukh Khan’s Mumbai house, “Mannat”. This is a picture of Shahrukh Khan’s Living Room. The interior design of Shahrukh’s house is done by his wife, Gauri Khan. For the drawing room, famous Indian designers Abu Jani and Sandeep Khosla helped Gauri with the pictures seen on the wall. 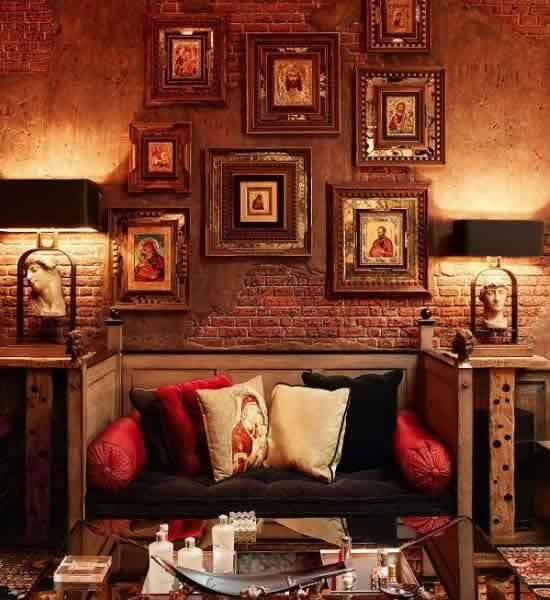 SRK’s living room has dark and earthy colours. Please visit this page for more images of Shahrukh Khan’s Home, “Mannat”.